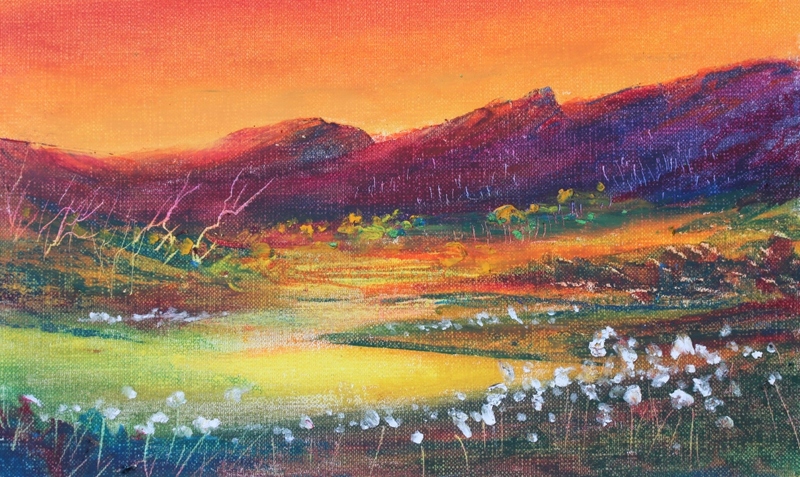 This entry was posted in Uncategorized and tagged colour, flowergarden, flowersi landscape, iris, Lake Lea Tasmania, mountains, oil pastel painting, orange, sunset, Tasmanian landscape, Tasmanian natine iris, vivid colour, white flowers. colourscape. Thanks Deby. Looking at your gallery at acrylics on canvas I think your works would go really well in this medium. Give it a go. More info on how in an earlier post on same style of work or if you’re ever in Tassie call into my studio in Forth (Under 15 mins from the Devonport Ferry terminal so you could be here for breakfast from Melbourne).